Everyone dreams of a comfortable, happy retirement, and it could be your reality with the right planning and preparation. At Saturn Wealth, our knowledgeable staff is ready, willing and able to help. We start by offering an initial consultation to determine how your assets are currently structured and what goals you’re hoping to achieve. From there, we can help you create a diverse portfolio with solutions from various asset classes that match your specific risk tolerance. We do this by understanding where you are in the planning process and identifying ways to take advantage of the opportunities you have available in each stage of investing. By helping to maximize the value of your earnings during the Accumulation Phase, protecting your hard-earned assets in the Preservation Phase and developing an income plan built to address the unexpected during the Distribution Phase, you can attain the retirement you desire. 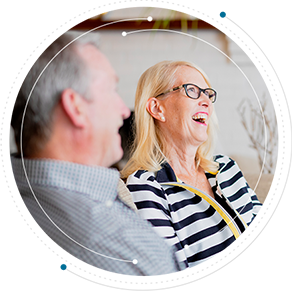 Best of all, our Saturn Wealth services and comprehensive support will help ensure you make necessary adjustments to your plan over time. As a result, you can be confident in the future you’ve created. By selecting low-cost investment options and managing them strategically, we can help you experience a combination of capital preservation and growth. With solutions that offer both upside potential and downside protection, we can implement a strategy to help create reliable income that lasts a lifetime. To protect what matters to you now and in the future, we can help you craft solid legacy plans that ensure your assets are distributed according to your wishes.